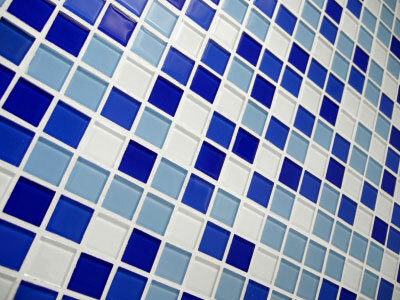 Do you have a Metro Atlanta or Woodstock area home that needs tile work installation or repairs? Our experienced tile flooring and backsplash contractors can help you with all your tile work needs. Whether it’s ceramic, laminate, stone, or hardwood floor tiles, One Man and A Brush is ready to serve you. If you are interested in finding a way to keep your tile floors clean, you might want to check out somewhere similar to https://www.bissell.com/steam-and-hard-floor-cleaners/steam-cleaners to see what options are out there for you. As a A+ member of the BBB who has served the Woodstock area since 2005, our contractors are guaranteed to work hard to deliver you the quality workmanship you need. Our painters and handyman carpenters are always ready to take on your tile work for your home. You’ll get your free estimate that’s based on the value of the work instead of a per hour rate, and you’ll get fair prices to boot. A competitive price is important, but we believe “True Customer Satisfaction” is realized with four important ingredients – a skilled craftsman, proper preparation, quality products, and superior customer service. It takes time to master a skill like tile work. Our tile installation and repair professionals are licensed, insured, bonded, and experienced to handle all your tile work needs from new floors, backsplashes, and wall tile to repairs. Tiles are also installed as back-splashes in the kitchen and bathroom area. There are some beautiful options out there for you, and our experienced Woodstock painting and home improvement team can help you with some options that will look great in your Woodstock home. Whether it’s the bathtub or shower surround area, the flooring, the backsplashes, or the walls, tiles go great in a bathroom no matter what type of material you choose. Our professional tile contractors will give you the high quality workmanship with proper sealing techniques that will make the work last. We can lay any type of tile you’re wanting and can help you figure out what will look best where. We can create special, custom layouts with design in mind as well. If you are looking for tile flooring or backsplash installation services in the Woodstock area then please call 678-368-5115 or complete our online request form.